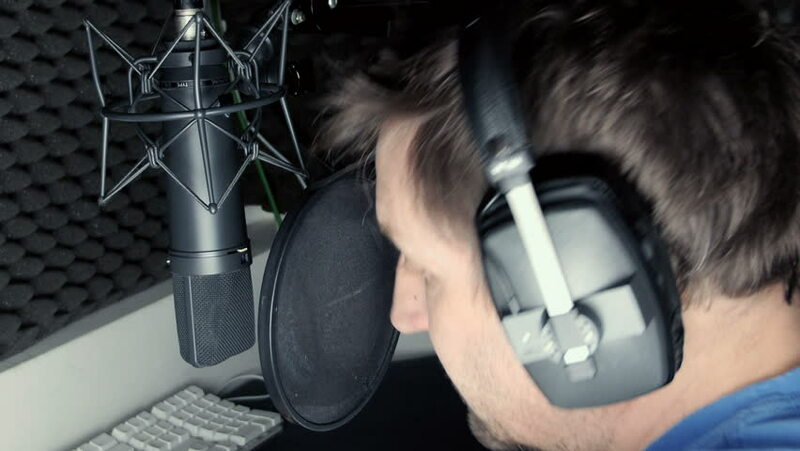 Male singer recording in a sound proof vocal booth with large condenser microphone and fully enclosed headphones. 4k00:09Cosmetologist puts paint on the client's eyebrows with brush. Closeup eyes view. Eyebrow correction. hd00:12Beautiful shot of beautiful girl smiles shyly while scribbles. 4k00:29Close-up of a woman hairdresser making curls at blond hair with curling irons at barber salon. Stylist. Beauty saloon. Stacking. Hairdresser at work. A stylist makes a haircut (curls) for a girl.